Medium-sized hatchbacks number amongst the popular cars in the UK, with around 320,000 sold last year. Manufacturers refer to this slice of the market as the C segment, typified by cars like Ford’s Focus and VW’s Golf, and around two thirds of this kind of vehicle is bought as a company car. While three-door models are of course offered at this size, most are sold as more practical five-doors. So it has been odd to see certain manufacturers dancing around the C segment like timid swimmers afraid of the water, offering all sorts of cars on the periphery without actually taking the plunge. But this year both Volvo and Mercedes-Benz will make up for their absence with watershed new cars, the V40 and A-Class respectively. 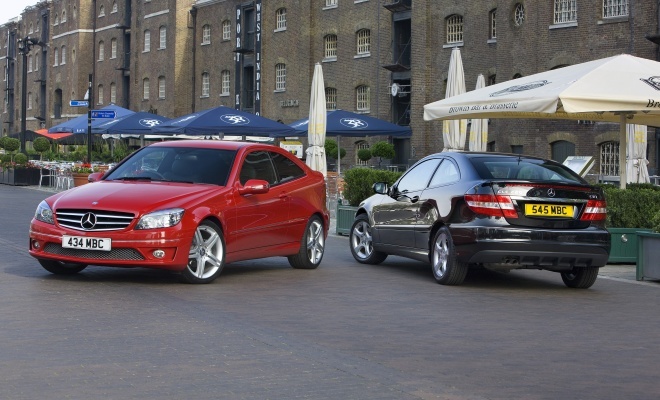 In 2001 Mercedes chopped down the C-Class saloon to create the three-door Sport Coupe, revising it and renaming it the CLC from 2008 until its demise in 2010. However, while the 2012 A-Class will include a version emitting just 99g/km, the CLC never got below 155g/km meaning it’s not the greenest choice. Like the CLC, the Volvo C30 is a coupe that’s effectively a trimmed and reshaped saloon, in this instance borrowing heavily from the S40. 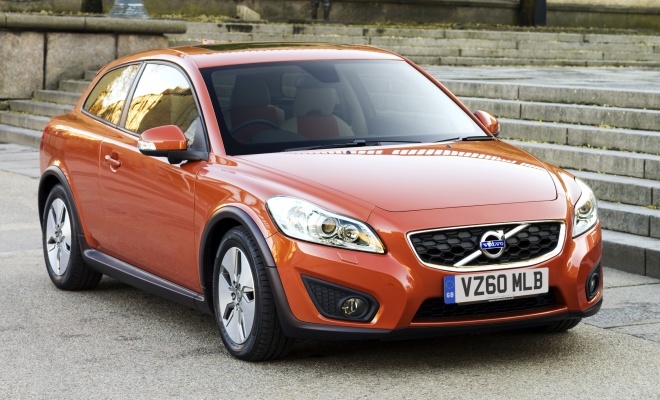 The C30 arrived in late 2006 and remains in production alongside the new V40 at Volvo’s factory in Ghent, Belgium. A facelift in 2010 gave it more pointy front styling. Mercedes describes the B-Class as a sports tourer but beyond the confines of marketing brainstorms it’s a tall, MPVish hatchback in the mould of the Golf Plus. 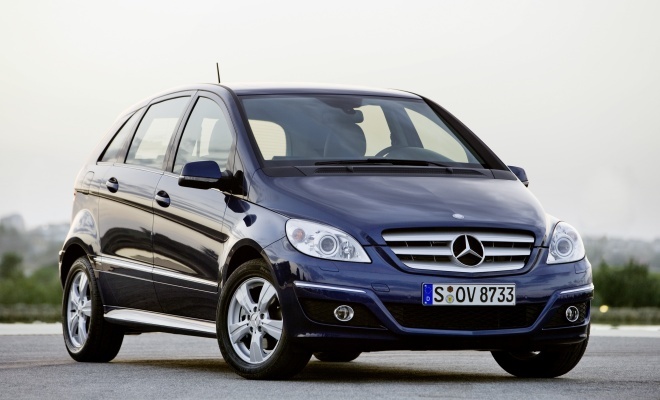 The B-Class itself has just been thoroughly updated, with an all-new model introduced in March 2012, giving the older model a double dose of the sell-by-date discount effect. The new V40 replaces both the S40 saloon and V50 estate, and it’s the outgoing estate that is by far the more handsome and practical of the two retiring cars. Although it’s a Volvo estate, don’t expect it to swallow a sideboard, however – this is still only a medium-sized car. 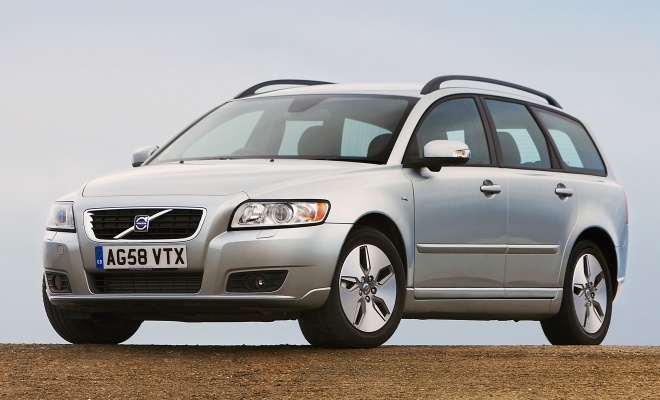 The V50 arrived in 2005 and was facelifted in 2008.